Sign Up For Our Free Report! 5 Fastest Ways to Stop Foreclosure! 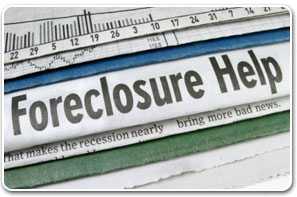 If you are like most homeowners, foreclosure is the last thing you expected to happen to you. But life makes sudden turns and suddenly you are about to lose your home. The very same bank that was being so friendly is now openly hostile toward you! Facing foreclosure can be very scary! And in the midst of it all is the persistent fact that you are losing everything you worked so hard for. Your credit is being destroyed, and the place you call home is being taken away. If you don't do something to stop foreclosure, your life will never be the same. But it doesn't have to end this way! You CAN stop foreclosure. We can help! In order to stop the foreclosure process, you need to keep some basic things to keep in mind…. 1. Do not ignore letters from your lender! Call them and explain your circumstances as soon as you fall behind on your payments. Call your lender’s Loss Mitigation Department to see if you qualify for assistance. Be prepared to provide them with financial information, such as your monthly income and expenses. Too many people who face foreclosure wait until the last minute to call their mortgage company. You may be able to work out a plan to stay in your home. Remember, banks don’t want to foreclose on you. It costs them too much money. They just want their payments. Many banks have special re-payment programs to help you keep your home and avoid foreclosure. Your chances for success are greatest when you can prove to the bank that you had a financial hardship that caused you to get behind on your payments, and that your circumstances will improve in the future. For more information, contact a HUD-approved housing counseling agency at (800-569-4287). 2. Beware of Scam Artists! Everyone seems to be talking about Loan Modifications. A Loan Modification is a process where your lender works with you to help you keep your house. You may be able to have your interest rate and payments lowered. The bank may even agree to work with you on the amount you are behind on your payments. If you want to keep your home this is definitely something you should look into. Just watch out for people who are out to rip you off. If you decide to pursue a Loan Modification, you have three options. First, you can negotiate a Loan Modification yourself by contacting your lender directly. The process isn't easy and you must prove that you qualify. Although this is the cheapest way to go, it also is the least likely to succeed. Most people do not know enough about the process to successfully negotiate their own Loan Modification. Just like with Short Sales, if you don't speak the bank's language you're probably going to fail. Your second option is to find a non-profit company who can help you for free. It sounds great, but from our experience it is a terrible idea. Most of the people who work for these companies have no clue what they're doing. They just collect your documents and hand them over to the bank. We do not reccomend non-profit companines. The third choice is to find a company who will negotiate your Loan Modification for a fee. These companies are much more successful in getting a Loan Modificaiton approved than the average home owner but they are very expensive. For several years we were very hesitant to reccommend a professional Loan Modification company. There are just so many scam artists out there! Besides being very skeptical, we also could not find a company that seemed to be honest and inexpensive. Finally, after several years of searching, we finally have found a company that we think is worth at least contacting. They were referred to us by a home owner who we were helping with a short sale. He spoke very highly of this company and said that they had been affordable and helpful. This company does charge a fee, but it is MUCH cheaper than any other company that we have found. They will review your case for free and will only accept your file if they are almost sure that they will be successful. Please understand that we do not make a dime by referring people to them. We have just been asked by so many people over the years to help them find a good Loan Modificaion company, so we wanted to at least be able to point them in the right direction. If you are interested in contacting this company please call us or send us an e-mail. We can get you in touch with the right person. One last word on Loan Modifications... Only about 25% of Loan Modifications are successful. Banks are so overwhelmed with all of the applicants that they are not able to keep up. We have noticed a very disturbing trend lately. Banks tell people that their application is "under review" or "almost approved" right up until the day before the foreclosure sale. By the time the home owner finds out that they are not approved, it is too late for them to do anything. They now have to move out of their house in a very short period of time. DON'T LET THIS HAPPEN TO YOU! Unless you have written approval from your bank do not assume that you will be approved! Explore all of your other options just in case that things don't work out. You must have a back up plan. We also believe that many Bankruptcy Attornies are giving home owners bad advice. Many attorneys advise you to file for bankruptcy to stop the foreclosure. For some people, bankruptcy may be the answer, but for others it just makes a bad situation worse. In some cases the only person who benefits is the attorney! It has been our experience that unless your financial situation is about to improve, you may very well find yourself right back in the same situation. 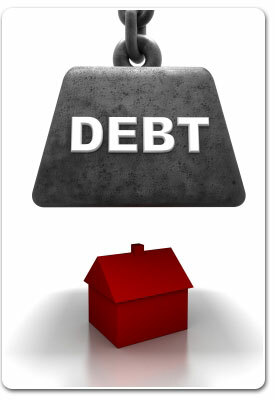 Many people who file bankruptcy still end up loosing their home because they can’t afford the payments. Now they have a foreclosure AND a bankruptcy on their credit. They would have been much better off working a short sale or a loan modification on their house. Rember, A BANKRUPTCY DOESN'T STOP A FORECLOSURE, IT SIMPLY DELAYS IT. You will still have to resume making your payments. 3. Explore all of your options. It’s always good to have a good back-up plan. You need to have another plan already in place just in case your lender won't work with you. The more informed you are, the better. We have a free foreclosure report that we would like to send you. This report helps you better understand short sales, loan modifications, bankruptcy, and re-payment programs. Enter your e-mail address below and we will send it to you right away. If you don't know the difference between a short sale and a loan modification, how can you hope to come up with a good plan? Our free report will help you be able to understand all of your options. Remember, time is not on your side! Every month we receive calls from people who need to sell because their other plan didn't work out. Unfortunately, they have waited too long and we aren't able to help them. We hope that you are able to work things out with your bank and keep your home. But if you can’t, we would like to talk to you about buying it from you before the bank forecloses. This way you can at least save your credit and walk away with some cash in your pocket. The sooner you call the more options you may have. 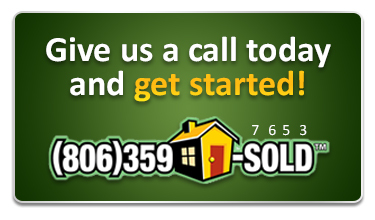 We can help you stop the foreclosure process. We have seen just about every type of situation and have worked with just about every bank out there. Banks have plenty of people in their corner helping them, shouldn't you have someone in your corner? The very best thing you can do is to call us. The first thing we will do is try to help you find a way to keep your home if that is what you want to do. We don't charge anything for this service. Every month we help dozens of people find ways to stop their foreclosure and KEEP their house. If this doesn't work, we can work with you to buy your house. If you owe too much on your home, we can still help. We can work out a short sale with your lender. A short sale is where the bank basically agrees to let you sell your house for less than what is owed against it. This is a great way to save your credit and buy yourself more time. We are very experienced with working short sales. We speak the bank's language. It is VERY important that if you decide to work a short sale that you only work with companies who are very experienced and successful in working short sales. We have been successfuly working short sales for many years. We are your banks worst nightmare! Please don't let all of this confuse you. We can explain all of these options in greater detail when we talk. Don’t wait another minute to get back in control. No matter what stage of foreclosure you are in, we can help. 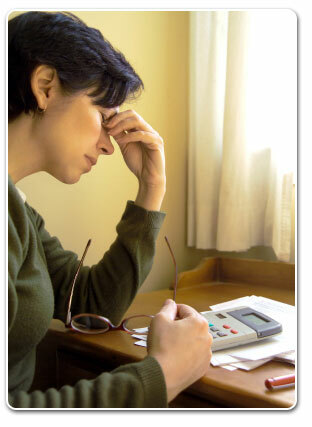 We can help you determine if you would qualify for a short sale or if you would be able to work a Loan Modification. We will work hard to help you find a solution. Remember, problems don’t just go away by themselves. You have to take action. The longer you wait, the worse this problem becomes and the fewer options you have. Click here to contact us, or better yet, pick up the phone right now and call us at 806-359-SOLD (7653). You will be glad that you did.